Home English Mokshagna to debut with NTR! Mokshagna to debut with NTR! NTR Kathanayakudu and Mahanayakudu audio has been launched today. Entire Nandamuri family attended the star studded grand event. NTR’s daughters Lokeshwari, Bhuvaneswari and Purandareswari launched the trailer of the biopic. Balakrishna along with his wife Vasundara launched a song. Nara Brahmani celebrates her birthday today. Balakrishna’s younger daughter Tejaswini and her husband also were present. Jr NTR and Kalyanram came on behalf of their father late Harikrishna. Nandamuri fans wonder why Mokshagna was missing from this historic event. Here’s a celebrating news for the fans. 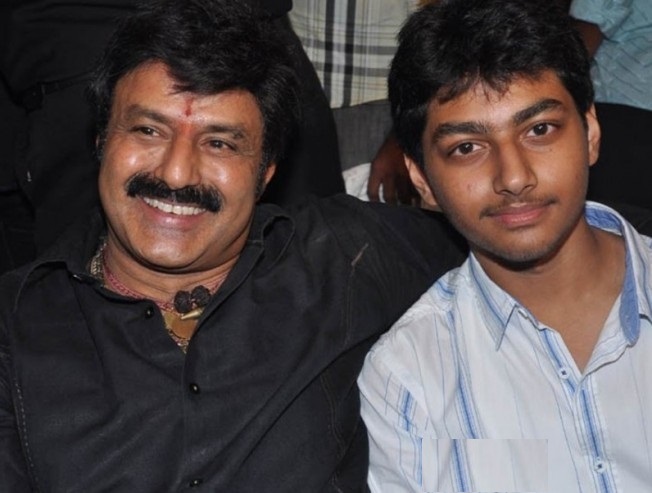 Mokshagna is set to make his silver screen debut with NTR Kathanayakudu. Guess what? He will appear as Balakrishna in the movie. Its big surprise for the fans and film buffs indeed. Earlier it was rumoured that Mokshagna would play young NTR but Balayya himself plays his legendary father NTR in the movie. So, brace yourself folks to watch Nandamuri lad’s launch.